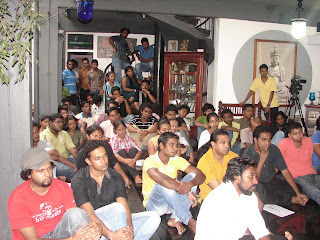 The new production of the play Yakshagamanaya commenced on 06th November 2011 at the TrikonE Cultural Foundation. A selected group of about 100 was present for the event. 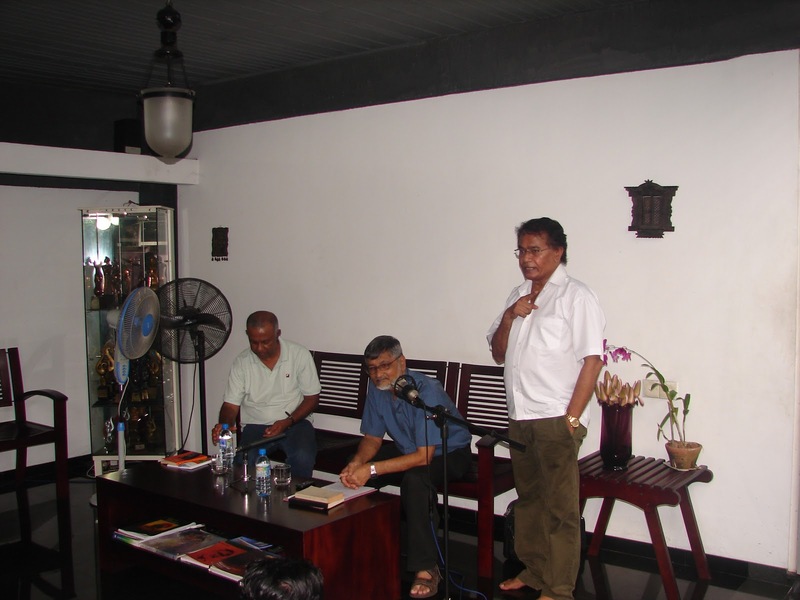 Two lectures were given by Dr. Micheal Fernando and Dr. Sunil Wijesiriwardene, translator of the script as an introduction to the play. After these lectures a discussion was held and other Sri Lankan dramatists such as Mr. Parakrama Niriella were present for this discussion. A series of lectures followed by several theatre workshops will be held before finalizing the cast of the play. The participants were very enthusiastic about the lectures as they were given a thorough knowledge about the history, script and methods of acting through these lectures. TrikonE Cultural Foundation. Awesome Inc. theme. Theme images by johnwoodcock. Powered by Blogger.